One of the benefits of cold stone massage is that it can provide a deep state of relaxation, a release of tension, as well as, a reduction of swelling and inflammation due to scar tissue, trauma or injuries to muscles. Cold stones are critical in stone massage work as they decrease soreness when working on deeper muscles, draw heat away from the body, and help to strengthen on a cellular level. Marble massage stones are metamorphosed limestone that is white or light in color and formed beneath the seabed. Physically, it’s thought that another of the benefits of cold stone massage using marble improves the processing of calcium in the body, stimulates the metabolism, fortifies immunity, and encourages the healing of tissue and bone. In contrast to basalt, marble is very soft and easy to break or scratch. The marble has to be carefully cut and hand-sanded to just the right size and shape needed to assist in the bodywork that cryotherapy was meant to do for the body – bringing down inflammation and starting the healing process. Marble massage stones have to fit neatly into the therapist’s hand, in order to switch from hot to cool in moments. Again it’s vital to choose consistent, non-polished, properly shaped marble stones. Keep in mind this is just a starting point or point of reference as you learn to configure a set that works best for you. Your set will vary based on your application. 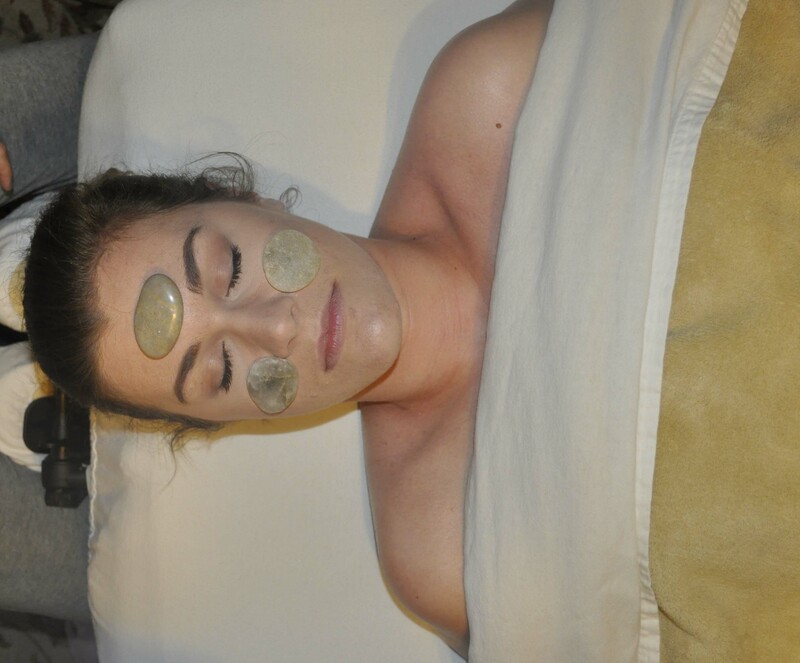 Marble massage stones are often shaped by hand and designed to provide a cool alternative for every hot stone used. Each marble stone is carefully crafted to perform a specific task. There are several other specialized shapes available ; however, there are 18 marble stones in a Basic Stone set. This is a great set, a 14pc Massage Marble Cold Stone Therapy Set w/Bamboo Case that will help you give many different types of cold stone massage, including facial massage techniques. It also includes a bamboo storage case..
Again, this is simply a reference point for you as you learn about the benefits of cold stone massage and how to configure a set that works for you and your clients. This is one of the massage video clips that teaches how to use cold marble massage stones. Whether you are massaging sore muscles, feet or hands, massaging the face to reduce swelling, headaches, sinus congestion, puffiness etc., or massaging the jaw area for soreness from TMJ, the benefits of cold stone massage greatly reduces headaches, stress, inflammation, and tension.